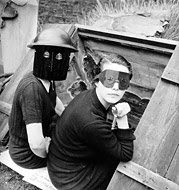 The SanFransicoMOMA is currently having a retrospect on Lee Miller's work until Sept. 14th. which spans her career as a photographer and explores her transformation from muse and model to groundbreaking artist in her own right. And since I live here on the east coast, i have to rely on the SFMOMA web site to fill me in. 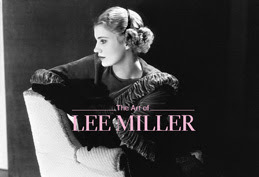 They did an excellent job by including an online feature explores the trajectory of Lee Miller’s short but extraordinarily diverse career, and includes an interview with her son Antony Penrose; video commentary by art historian Whitney Chadwick; an archival audio clip of the artist herself; and zoom-enabled images of some of Miller's best-known works.